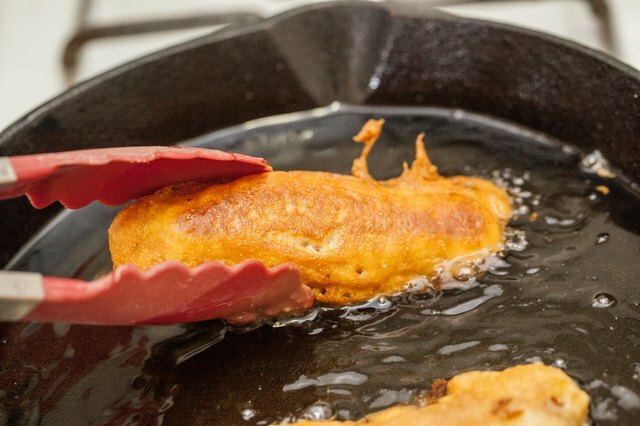 Pour oil into the pan and preheat to 365 degrees Fahrenheit. Combine pancake mix, cornmeal and salt. Mix well. Add milk, mixing well while you pour. 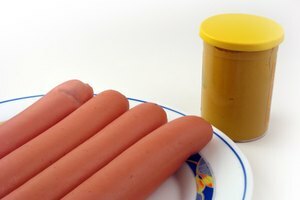 Using a fork, dip each hot dog into the batter until it's coated evenly. 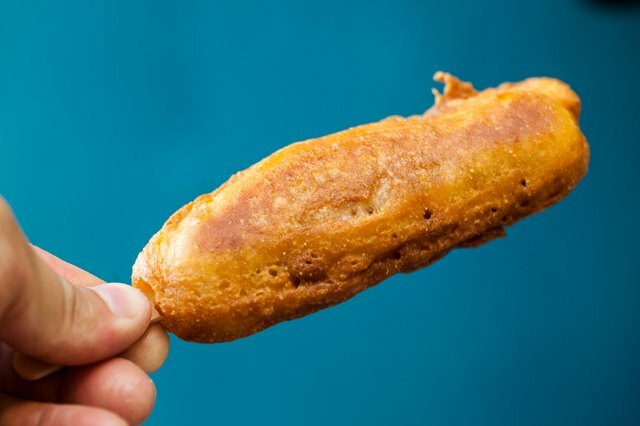 Fry each one until golden brown, making sure to rotate evenly. 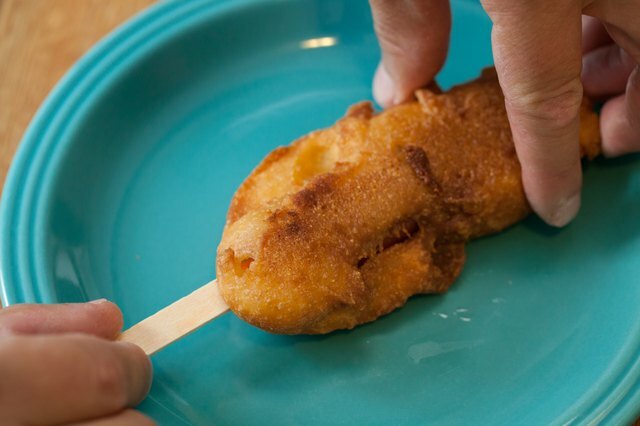 If desired, insert a popsicle stick into each corn dog. Serve immediately. 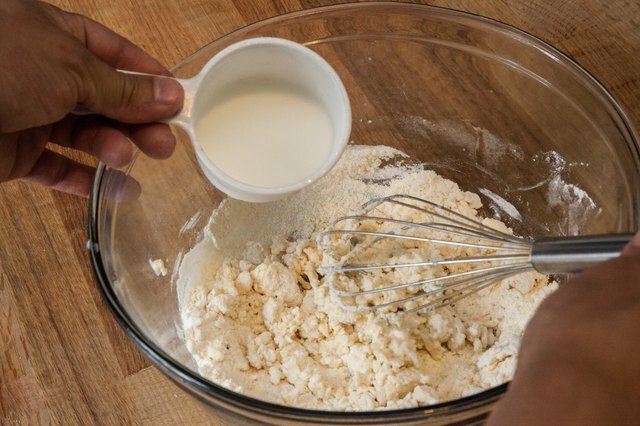 The batter will thicken after a few minutes of sitting, so add a little bit of milk to thin it out. 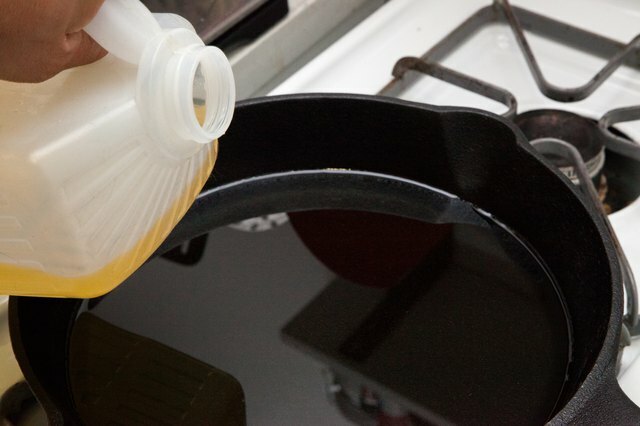 Oil tends to splash when heated, so be sure you're not standing too close to the frying pan.